“What is the best export pallet?” a reader posted to me recently. To be sure it could be an ISPM 15 compliant pallet, or any one of a number of ISPM 15 exempt pallets such as presswood, plastic, paper or metal. Job one of the expat pallet is border clearance, but after that, it really all depends. This particular pallet user was thinking of a one-way shipping pallet, which is often what people think about with respect to export pallets. Plenty of reusable pool pallets such as CHEP, EPAL, Loscam and LPR also cross international borders, but few of these shipments are truly global in span. We have seen the ads offering “export pallets” under $10, but is that really the best approach? In terms of how the size of the pallet export market, and what materials, the picture isn’t exactly totally clear. For export pallet usage, one 2003 study estimated that pallet exports from the U.S. amounted 60 to 70 million pallets annually, with 90% of these solid wood pallets. Just recently on the Modern Materials Handling Pallet Survey webcast, Dr. Mark White stated (if my notes are accurate) that 300 million pallets move annually between Canada and the U.S., and that after the ISPM No. 15 exemption is terminated some time soon, heat treatment capacity will be a constraint for wood pallet supply that may motivate some pallet users to start considering non-timber pallets. Additionally, concern about detainment or rejection at the international ports of entry is on the radar screen of some users. This issue has rarely hit the headlines, has come up this year on a couple of occasions, for pallets entering China and the United States. The risk is small, but none the less one that some pallet users choose to avoid. 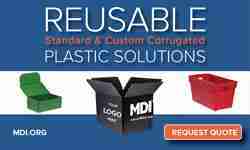 Alternative material pallets may also offer other benefits making them attractive to exporters. For example, the IKEA paper pallet switch was in large part predicated on it being able to have a lower height and more easy customization to the exact size of the product, allowing for better cube utilization in trailers. Other considerations include the interface with material handling equipment, so therefore the customer might prefer the pallet to be of the standard design for the country of destination. 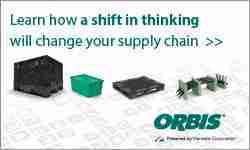 Such a choice will likely reduce time at the dock for unloading, which will be important to many customers. Likewise, pallet selection might be made so as to limit reverse logistics issues, or to promote recycling. In following reports we will look at some of the alternatives to wood pallets. 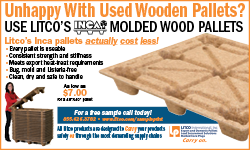 Next up is the Inca presswood pallet from Litco International. What about the paper pallets? Aren’t they just too weak?